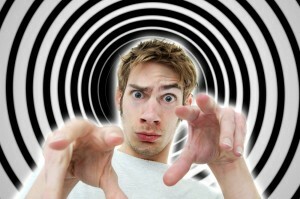 Is it Possible to Hypnotize Your Interviewer? There are thought to be several power words in hypnosis that are supposed to be able to tap into the unconscious mind and enable you to unknowingly pull the strings of the people you are engaging. Of course, we are not talking zombie-like trances here, but more subconscious persuasion and mild influence. Typically, these power words are used in sales and marketing to help convince a buyer/client, but I thought I’d identify three of the top power words and see how they could be applied to the interview process. Imagine the success we can achieve when we combine my unique inside knowledge of the emerging markets with your massive distribution potential. When (rather than if). This is what is known as a presupposition language pattern and it is about presupposing the outcome you want, e.g. when I am hired, I will do this and that. Now, starting a sentence with, “when you hire me,” is risky and could make you appear presumptuous; so, I think you should say it with a knowing smile and a touch of tongue in cheek (because it is a little cheeky). I do think this power word should come with a health warning and should be used very judiciously. If you just can’t imagine yourself saying ‘”when,” why not try a less pointed presupposition statement, such as “The first positive change I would make after being hired is…” or “imagine you hired me and knowing what you know about my skills would you deploy me in Asia Pacific? Now, it doesn’t take a psychologist to tell that this is not really hypnosis, but I do believe that using positive, suggestive speak can be beneficial in the interview process.